I am always looking for clay. When I find clay I touch it, push it, squeeze it, and taste it. Clay give me great inspiration. "Pottery is not only contained clay, but also includes mud, soil, and earth, so that clay has many textures in different kind" (Tsuchimi). 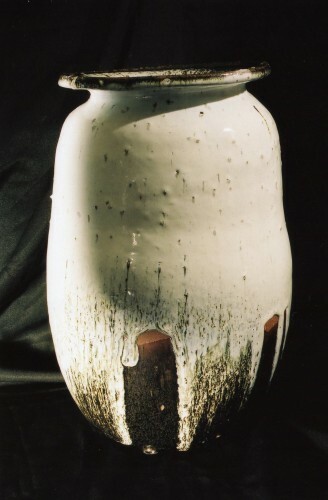 Good pottery works with the clay's texture. We find this beauty in many Japanese pottery pieces. I studied extensively in Japan and my work continues to reflect this influence. In this modern time, people are forced to live in a complex and diversified society. Through this circumstance I believe that my work is to seek the quality of being simple. For instance, instead of adding more decorations, I reduce them. The realization that an idea of something is already too much rather than something is not enough.